A couple of weeks ago it was National Sausage Week and although it seems to be national something every day of the year, it was one week I was on board with. So when Grandad’s Sausages got in touch about collaborating - I was a game. The fifty year old family run business born in Bury, Lancashire is available in some of the most known Manchester eateries - you can check our their website here. I was kindly sent a selection ranging from your regular Ye Olde English to some Lincolnshire and more adventurous Moroccan sausages. 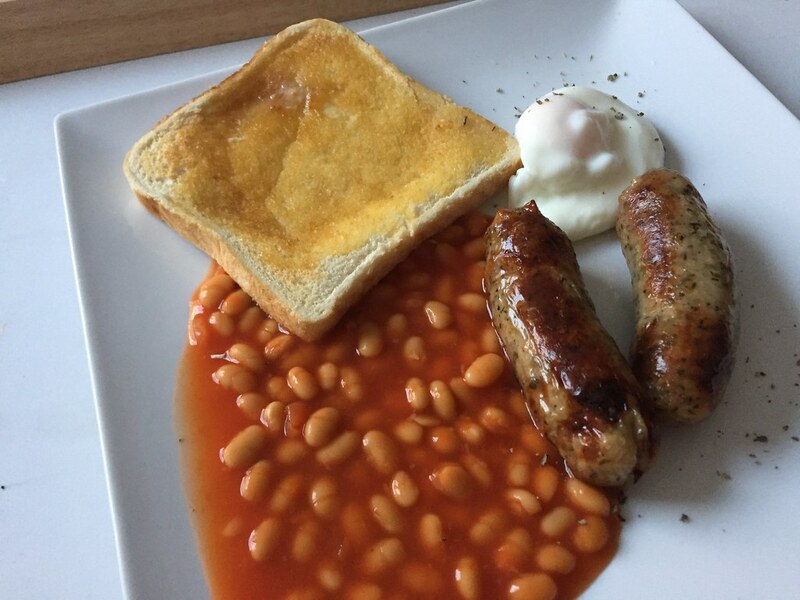 I naughtily do indulge in a full English most weekends (thank god for a busy life, fast paced job and the gym). So my first go-to was just that. 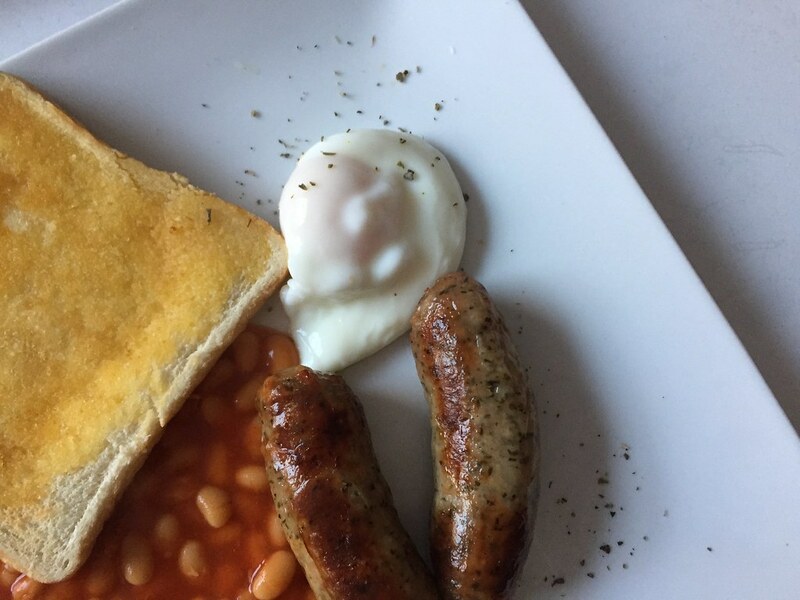 Whilst I love every day of the week, I love being able to lie in and rejuvenate at the weekend which in my eyes means a hearty breakfast - and on this occasion and when I have a clear morning, having breakfast in bed. 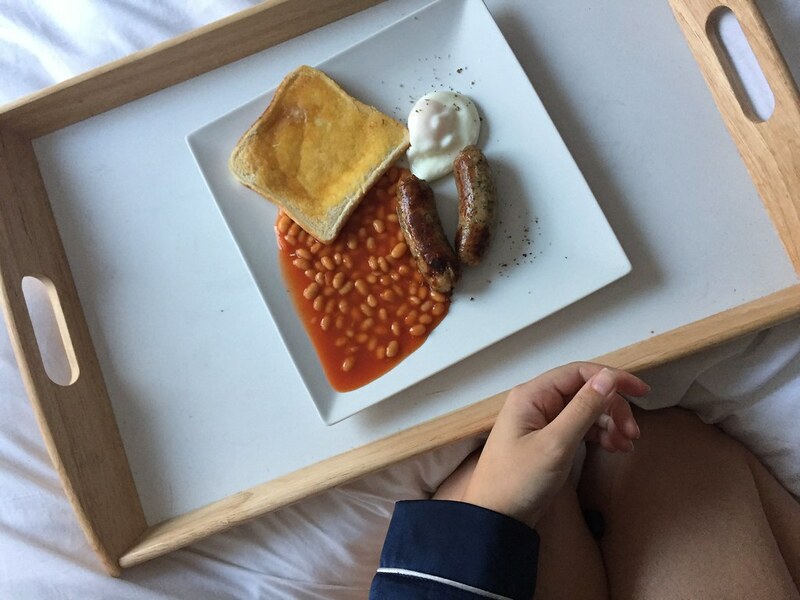 Now I know what you’re thinking: white sheets and a fry up?! It’s a careful operation I assure you! I find meat eaters are either big sausage or big bacon lovers. I like my bacon, but sausages are my thing so they had the starring role in this weekend’s breakfast. I cooked these in a frying pan because I wanted them cooked quickly but if I have the time, I do tend to oven cook as I always remember someone telling me they were slightly healthier this way? But even for me, they were really enjoyable. I did prefer the more traditional recipe ones - to the point I also used all three meats to bake some sausage rolls following - if you follow me on Snapchat or Twitter, you’ll have seen how much of a proud star baker I was. (You can keep up with me here: Snapchat: @sjmford / Twitter @SJMFord). So if you’re after proper old school bangers, I wholeheartedly recommend. Have a breakfast in bed, because quite frankly, you deserve it. Thank you to Grandad’s Sausages for hooking me up and giving me an excuse to stay in bed a little longer.